The Roman As was part of the set of bronze disk coins that were created by the Romans to be able to replace the Greek currency they had been using in the Roman Infancy. Firstly the Romans began to use small, rectangular ingots before moving onto the disk shape, struck in bronze. 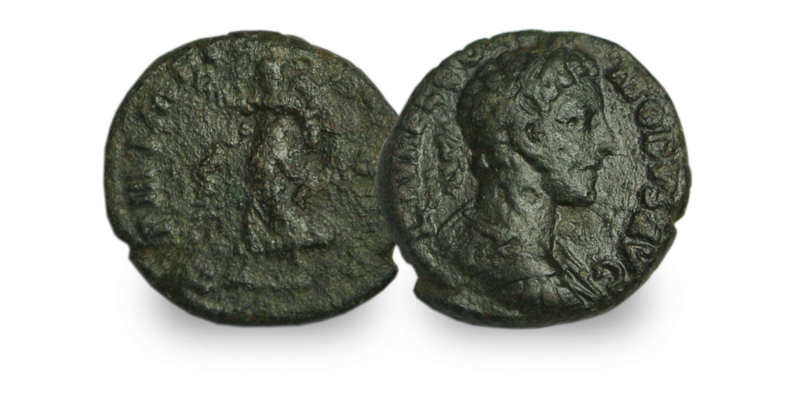 Traditionally the amount of bronze that each coin equated to its value within society, however, this changed drastically throughout the Roman empire with new coins being introduced. The As, after it's initial run of production was intermittently produced emperor to emperor until it was reestablished in by the Emperor Andronikos II Palaiologos (r. 1282–1328) and minted copper coin.